Customer Retention: Who's really stealing your accounts? In this video I will talk about customer retention and what you can do to keep your customers around. I will also talk about the difference between customer satisfaction and customer loyalty and explain why I think one of these is a key to customer retention. The Most Common Ways Contractors Bid Jobs- And They Are All WRONG! 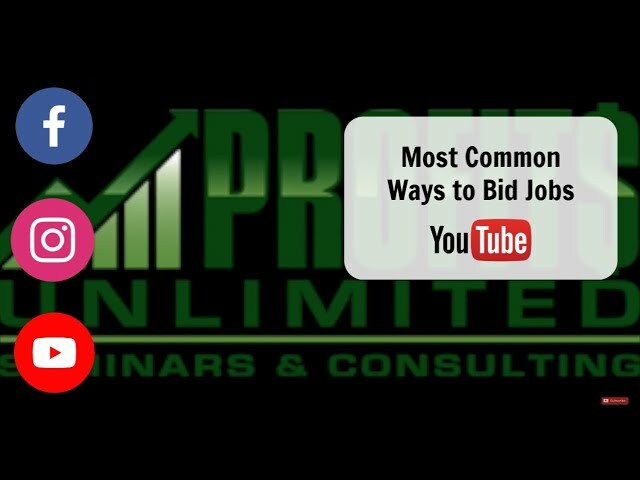 There are numerous ways to bid a job which I explain in this video. These are some of the funniest and perhaps worst ways to go about doing it, but they must be explained so you do not fall victim to using them based on their simplicity or time-saving attribute. Figuring out YOUR cost is the BEST way to start bidding most profitably. We have some great products that make this much easier just check out profitsareus.com to find them. ALSO- USE CODE profitsyoutube to receive a GREAT discount on your order. We often talk about diversifying your services. This is one example of what we at our lawn and landscape company, WLS, do to help create profit in the fall. This is also an example of advertising that is quick and effective for places such as Facebook to post and use seasonally. 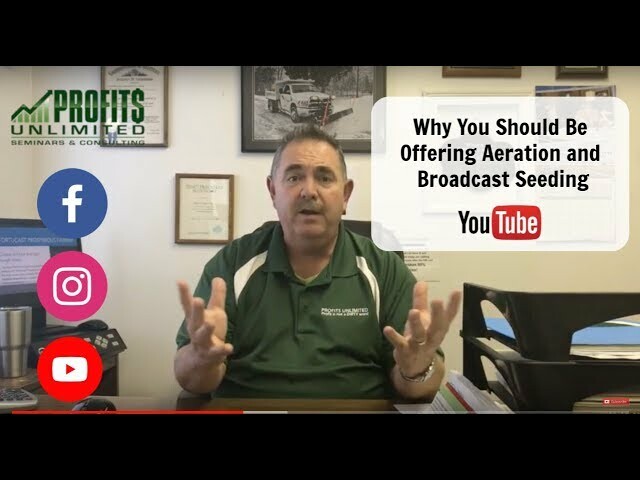 If you're not doing aeration and broadcast seeding, check out this video on why you should begin doing them. Wayne talks about the benefits of offering these services to your customers and explains how to get started offering the services. It is no secret, the key to profitability in this industry is diversification and this is a great way to do just that! Power seeding is a great way to diversify for your company. It is a great profit center if you do it right! 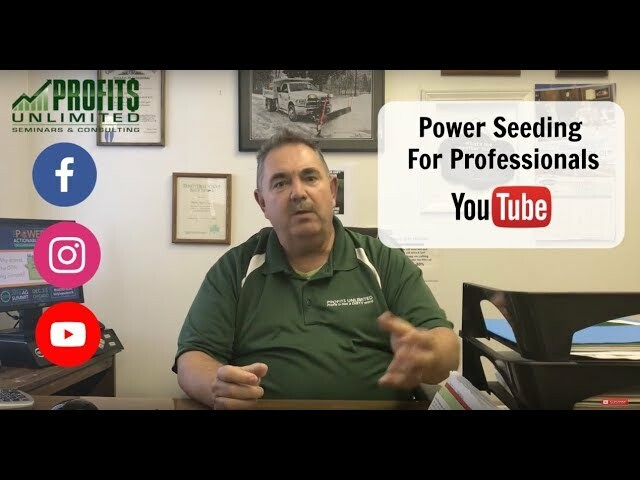 Listen to Wayne talk about power seeding and why you should start doing it. If you struggle with an aspect of your business, getting help from someone with experience and knowledge is a great way to grow your company and become more successful. Profits Unlimited is one option that offers nearly 40 years of business experience in the Lawn and Landscape industry. 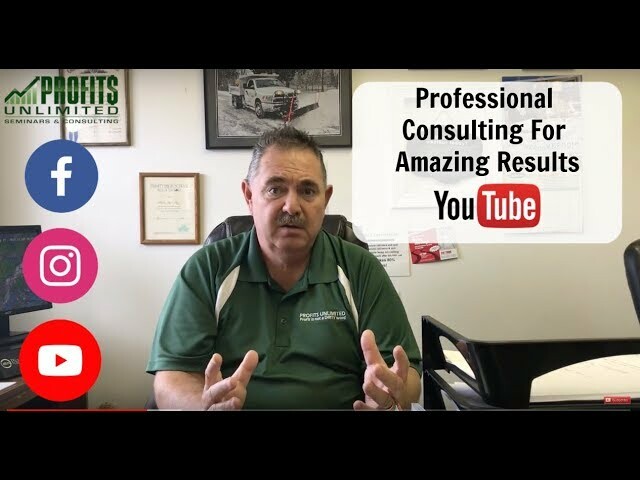 Check out this video on why you should consider ANY professional consulting if you need help. 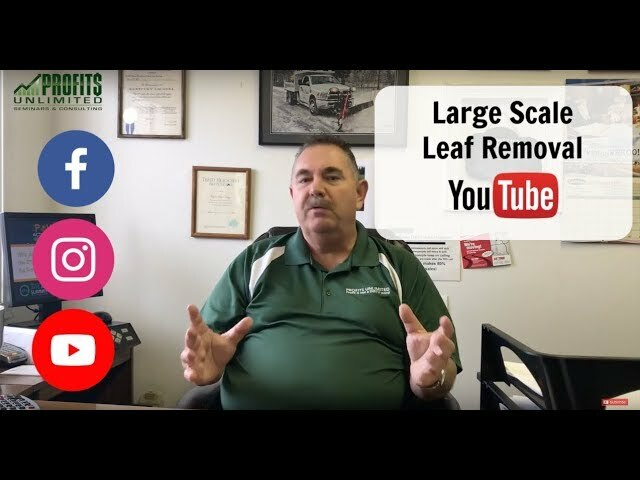 If your company is big enough (has the equipment and labor) to do leaf removal in a serious manner, there is an excellent profit to be made doing it right. You don't need a huge company, but having a few extra employees is critical to being successful in leaf removal. 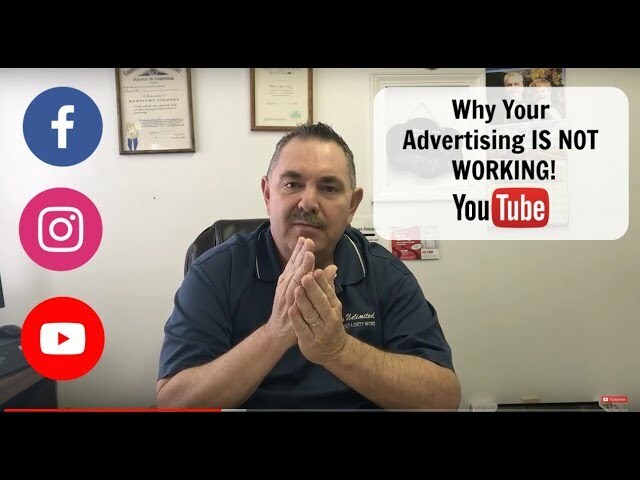 Watch this video to learn how to do it right and how to be profitable doing it. 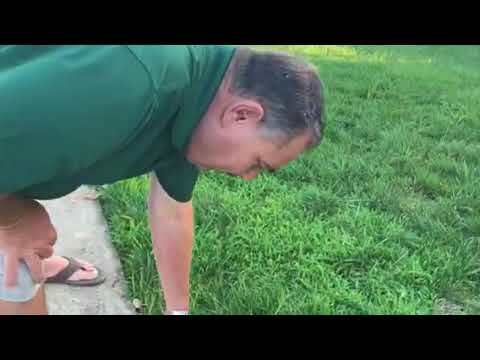 In this episode, Wayne discusses doing leaf clean-ups. It’s a great way to make seasonal money, but be careful, it’s also an easy way to lose money if you don’t know what you’re doing. 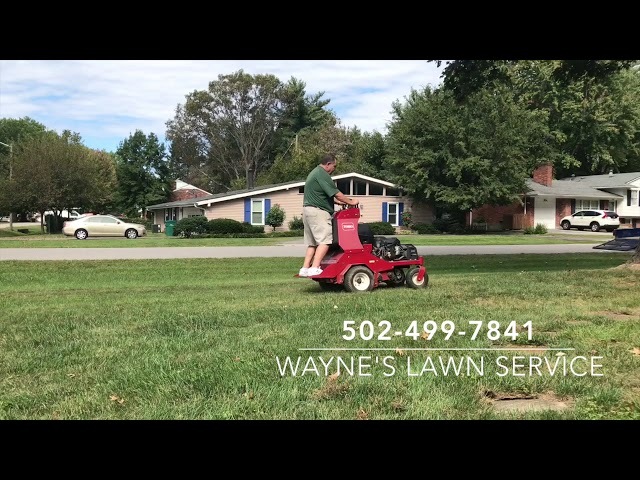 Wayne talks about how to get the work, how to get the job done most efficiently using the right equipment for you, and how to price the job. 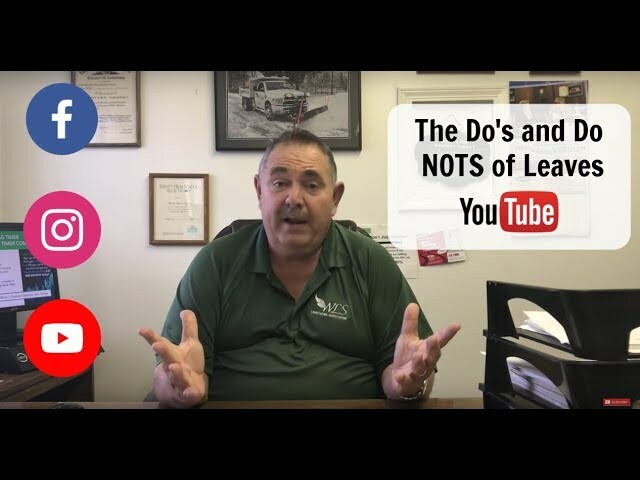 Learn the Do’s and Don’ts of doing leaves by the man who has been in the business for nearly 4 decades. Wayne explains the difference between several common weeds and how to tell them apart. 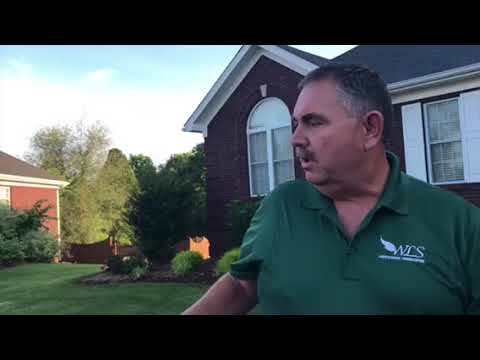 Wayne explains that just because you’re getting your lawn treated doesn’t mean you will have no weeds. However, it does greatly decrease the volume of weeds. In this video, I will discuss some fascinating statistics pertaining to landscaping businesses around North America. He references the Green Industry benchmark for 2017 and reviews the State of the Industry report. 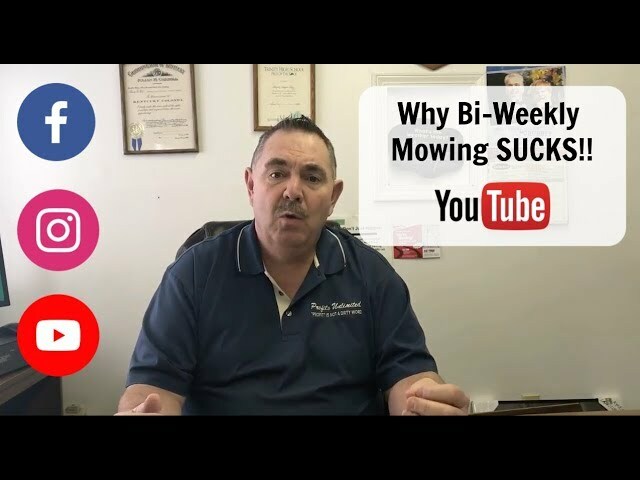 I explain why bi-weekly mowing doesn't work as well as you think it does and recommend a much better alternative. I also discuss ideal profit margins for your landscaping business.